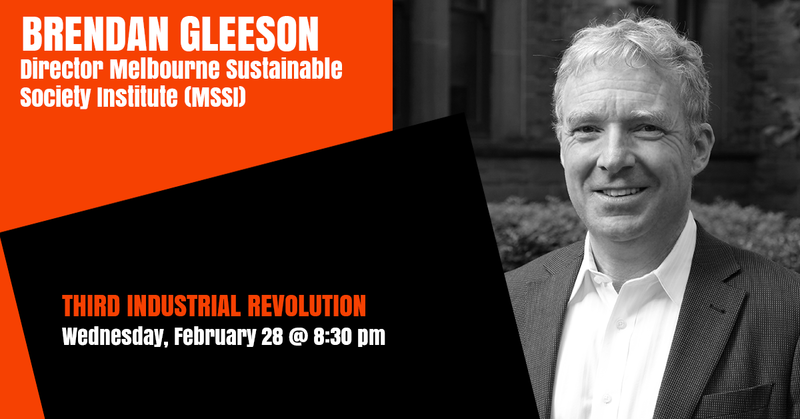 Brendan Gleeson is the Director of the Melbourne Sustainable Society Institute, at the University of Melbourne. He joined Melbourne University in January 2012 as Professor of Urban Policy Studies and then took on the directorship of the Melbourne Sustainable Society Institute in early 2013. Professor Gleeson came from the position of Deputy Director of the National University of Ireland’s National Institute for Regional and Spatial Analysis. Prior to that he set up the Urban Research Program at Griffith University and was its inaugural Director. Professor Gleeson has made significant scholarly contributions in urban and social policy, environmental theory and policy, and is a regular commentator in newspapers, television and radio. He has qualifications in geography and urban planning, including a masters degree from the University of Southern California and a PhD from the University of Melbourne. Professor Gleeson is a Fellow of the Australian Academy of Social Sciences. He is the author or editor of thirteen books, three of which have won national and international prizes, and numerous journal articles. His research interests include urban planning and governance, urban social policy, disability studies, and environmental theory and policy. His recent work has focused on socio-spatial analysis of suburbs, their vulnerability to oil shocks and the need for better public transport options. Brendan Gleeson was the inaugural recipient of the John Iremonger Award for Writing on Public Issues (Allen & Unwin Publishers) leading to the publication of his seminal book Australian Heartlands: Making Space for Hope in the Suburbs.